In 1980 the U.S. federal debt was $1 trillion, and today it’s $17 trillion. Total world debt was probably around $10 trillion to $15 trillion in 1980, and today it’s $250 trillion. The overall derivative exposure has been reported as being $1.4 quadrillion, nearly 6 times the overall global debt. The unwinding of all this debt will not end in an orderly fashion. When there is debt, there is also a creditor. Some of those creditors are pension funds. If debt is erased in some fashion, pensioners will probably suffer. A crisis is surely on the horizon. $10,000 gold will not offset the pain of those without. The entire system could go into shock and when that happens, be prepared. This shock will include the value of paper money crashing, stock markets and bond markets collapsing, a failing financial system, and surging interest rates. Countries will be in no position to maintain public services. Social Security will be at risk. Infrastructure such as hospitals, schools, public transportation, roads, police protection, and fire services will be reduced or eliminated where possible. This will then lead to social unrest and crime. The above scenario is a form of judgment on the nations. If and when that judgment comes, there will be a response from Heaven. There will be those who are raised up to minister life to the people who have lost everything. They will no longer looking for answers elsewhere but will seek out those who hear Our Heavenly Father’s Voice. For those who have ears to hear, pay close attention!
" (8) After many days you will be summoned [paqad, "to visit with friendly or hostile intent; summoned for judgment"]; in the latter years you will come into the land that is restored from the sword; whose inhabitants have been gathered from many nations to the mountains of Israel which had been a continual waste [khorbah, "drought; desolate"]; but its people were brought out from the nations, and they are living securely, all of them. (9) And you will go up, you will come like a storm; you will be like a cloud covering the land, you and all your troops [aggaf, "cover, heap, crowd"], and many peoples with you." Verse 8 first indicates that these people are "summoned" (NASB). The King James says "you shall be visited." This idea of visitation can be either for good or for judgment. On the negative side, the word means that God’s visit was to investigate the evidence of sin for the purpose of judgment. As I have mentioned before, this word is also translated “to muster” as in to summon and bring together the troops. The census is effectively summoning the people for a “visitation” from Our Heavenly Father. You must show up to be counted. When Moses called forth the Census, there were thousands of people to notify. It was not instantaneous. They had to be summoned from throughout the camp. Today, it is no different except that “the camp” is the earth. The Census denotes both a visitation and a judgment. Clearly, the inhabitants of Canaan were soon to be judged. Our Heavenly Father would use those of the second Census of Numbers to defeat the 31 kings in the Promised Land. Those 31 kings had a visitation but of the negative kind. The kings and kingdoms today are the nations of the earth. The sword is The Word OF GOD spoken by HIS Remnant. Instead of physical death, we should expect conversion of souls from death to life. Yes, the old man must die. This Census is consistent with the word “Now is the time!” I was told to proclaim. The pieces are coming together but only Our Heavenly Father has the complete picture. My responsibility as a member of the “Amen” company is to hear and respond to Our Heavenly Father and act in agreement with HIM. HE has used Servias and its resources to summon and account for those led to respond to this Census. It is not my job to sell anyone, twist any arms, cast guilt, or initiate any other methods of manipulation. It is simply to issue the summons and provide any and all revelation received concerning this Census. There are people who only access this site on occasion thus it is my responsibility to post blogs throughout the Census to expose those infrequent readers to the opportunity to respond. The nice thing about using the Internet to broadcast the summons, no one has any peer pressure place on the decision whether to participate or “sit this out”. I have purposely kept silent about the level of participation as well as who has responded. It must be based on your own witness. Our Heavenly Father needs no help in drawing men and women to whatever HE is in the middle of. In 12 days we will conclude the Census. We will then await further instruction. Once you open the door to persistent deception, it is tough to close that door back to its original state. In the 1990’s, President Clinton tinkered with the economic formulas that affect the public’s view of national output and unemployment. Recalling his famous quote “It’s the economy, Stupid!”, President Clinton understood the importance of public perception and the fact the people voted their pocketbooks. If the economy appeared to be good, he would be reelected. If it was worse, he would be a one-term president. Formulas were changed, the economy looked better, and he was reelected. I’m sure it was all legal as there are enough laws on the books to fit about any scenario you can imagine. You can easily hide behind the law, even if it is 100 years old and intended for another purpose. The real issue is “intent”. Today, the central planners’ intent is being confirmed by their actions. They do not want gold and silver to rise to their true price levels relative to the Dollar. Manipulation by investment banks backed by the Fed is well established by facts and reasonable conclusions of market experts. The central planners used psychology to move the masses in the direction they desire. It is no different than herding thousands of cattle with a small number of cowboys. Sheep and fish have similar orientations to herding or schooling. Fear and greed have been controlling the markets. This is based on self preservation of individual investors and money managers. Money managers have learned the game of the central planners… go with the flow, be in the middle of the pack, and you will be legally protected. Morals and ethics have nothing to do with the current investment arena. What will happen when the lies and deceptions are exposed? The current system will disintegrate. There will probably be economic chaos in the short term. I believe Our Heavenly Father will raise up those who believe in the “Truth in the Transaction” way of doing business. It is also know as “Truth in Love”. Throughout history, we find that when lawlessness reaches its fullness, it is lawfully removed by Our Heavenly Father. HE provides us with many examples, Sodom and Gomorrah come to mind. Perversion of the truth will no longer be tolerated but instead it will be exposed and removed. Later, people will look back and ask, “What were they thinking?’. I believe we’re fast approaching that point in time again. The revelation of Love has come forth as a standard against the prevailing thought being promoted by those in control. Prior to judgment, the people always receive warnings with ample time to respond. This nation and others have been put on notice. At some point the time of mercy will be over and the time of judgment will come in full force. HIS Remnant will be equipped for this transition. They will be raised up as a standard and reflect Our Heavenly Father’s Law AND Intent. Let’s look at the big picture of this parable. If you have read Dr. Speckhart’s book “Quantum and Non-Quantum States of The Lord Jesus Christ”(www.unity153.net) or have joined us in the latest online Bible studies (http://www.ustream.tv/channel/the-baptism-of-love) you would now have some understanding about Our Heavenly Father’s “Non-Quantum” nature. There are no anti-particles in the non-quantum area, in other words, there is no resistance. It is where the pure Divine Intent prior to any “work” resides. Divine Intent has at its source- Love. Jesus spoke words originating from the Divine Intent of Our Heavenly Father. You either believe this or you don’t. I happen to fully believe it. In this parable, Jesus uses a silver coin as a metaphor for a soul. This is fully consistent with the use of a silver ransom coin we are using in the current Census. Why do you think Our Heavenly Father would institute a census among the tribes of Israel twice in the Book of Numbers? Could HE find no other source of silver to build the Temple? Don’t you think that the Creator knows where all the gold and silver is found around the globe? Our Heavenly Father wants us to discover a greater truth in these stories and parables. Over a decade ago, I was praying and Our Heavenly Father spoke a Word to me, “You view money as scarce, I view money as a commodity. You need to change your view of it.”. People get hung up over money. I knew this when we called forth this Census. I am sure that is one reason why Our Heavenly Father had us make the silver coin optional for those who for one reason or another wanted to register but were unable to supply a silver coin. HE knew that we would have no reluctance to supply any amount of silver coins needed for those who did not provide a coin. That is what Love does. HE also knew there would be those who would be led to send extra coins on the behalf of others unknown to them personally. That has happened as well. Let’s face it, Our Heavenly Father has established the need for money on earth. We shouldn’t fight this reality. One of the uses of money in Scripture is to satisfy a claim of liability. Exodus 21 provides a discussion of liability. The owner is liable for what his oxen does. We are liable for what we do. Yes, we are saved, but we must accept responsibility for our actions both individually and corporately. When we sin, we ask for forgiveness. Is there any restitution to be paid? If you wrong your brother, shouldn’t you go and ask to be forgiven? Is there ultimately a reconciliation of liability required to take place, even for Christians? Silver represents redemption in Scripture. Redemption requires a transfer of ownership, obligation, and/or authority. To satisfy a Heavenly requirement, could this Census money be a lawful redemption of the Remnant to satisfy a corporate liability? Wouldn’t it be just like Our Heavenly Father to institute a means to satisfy a liability claim against the Remnant brought against them by an adversary in a Heavenly Court? Could the Court date be the Day of Atonement? Could a “remnant within the Remnant” be called to fulfill this liability on behalf of the rest… out of Love for all mankind? Not everyone is called to participate in everything Our Heavenly Father is doing in the earth. Each of us has a specific responsibility to do our part in the overall plan. Some are called to travel to destinations and make proclamations, some are called to the prayer closet and intercede, some are called to write a book on the revelation given them… We should encourage each calling and do nothing that would hinder the fulfillment. If we hinder someone else’s calling, we become an adversary, or resistance, to Our Heavenly Father. HE will remove resistance. Then we must be “found” again. Thankfully, HE has accounted for this as well. As you may recall, our Census reflects the 2nd Census of Numbers. Twenty years ago, Stephen Jones was called to do a Census for the purposes of spiritual warfare. This Census focuses on “Inheritance of the Promised Land”. This Census was taken just prior to entering into the Promised Land and to be used by Joshua, not Moses. Moses knew this. Joshua, or “Hoshea,” was the son of Nun (נון), “fish, posterity” as in a swarm, teeming with life (from Stephen’s web blog). This ties directly to our www.unity153.net website Our Heavenly Father has us name and build prior to any revelation about taking a Census. This description of ‘”Nun” correlates to the 153 fish ordained to be placed in the net in John 21. These are the “sons of GOD” teaming with the fullness of life. Back in 1998-99, Stephen contacted me about participating in a Bible Law project to be placed on the Internet. He chose 12 men. I was number 7 (per his comment). Being the only left-handed man among the group, I knew there was a connection to Benjamin. We picked lots to determine our topics. Mine happened to be “inheritance” laws. In Exodus 1 and in the Book of Joshua, Benjamin happened to be the seventh tribe listed, another coincidence. It turns out the all but two of us left the project before it was finished. Myself and my Aussie buddy finished the project in early 2000. It is interesting to see the chronology of events that brings us to this day. September 14th is the final day of the 2nd Census. Many have been led to respond. Of course, this Census has nothing to do with salvation. But just as I have been called to do many prophetic works in the past, I am sure Our Heavenly Father will use this act for something of note. By faith, we respond. For the last 42 years I have heard and responded to HIS Voice. Today, it will be no different. We will await HIS further instructions about the results of the Census. The Heavenly Court System demands a lawful accounting. The adversary can challenge our claims to inheritance, but as we by faith respond to this Census HE called, we have satisfied the requirements of The Law in the Heaven. We are the witnesses on earth and value has been exchanged to prove our intent. The Census was proclaimed on May 1st. In seventeen days, the Census will end. Servias Ministries wants to thank those who have made donations to our organization. In order to minimize administrative costs, we do not send out thank you letters when a donation is received. However, we send an annual contribution letter for tax purposes, where applicable. Since its inception in 2006, we have managed to have no payroll costs. Friends of the organization volunteer their time to handle book mailings and other administrative functions. My business currently absorbs most of the IT costs. This allows contributions to be optimized for ministry. Helping others in need is a primary focus. Our EDS project is alive and well, although with substantial delays. Signal interference has been the source of much of the delay which leads me to believe most of the devices on the market have this subtle issue. Less noise and interference means better signal output. We will continue to serve mankind as Our Heavenly Father directs us. We trust that we are producing good fruit for the Kingdom. Thanks again! Hackers are at it again! My personal AOL account address list has been hacked bypassing Norton that should have blocked it. You may have received an email from me with the subject "confidential document." Do not open, or if you do open, absolutely don’t follow the instructions to click on links and/or log in with your email address using your personal password. Delete immediately! I am so sorry the bounced scam was sent to you. AOL and Norton has assured me the prevention of further invasion is fixed. These three physical assets are set to rise in price. Just when you thought the U.S. couldn’t handle another war, here we go again. Oil is now pushing $110 per barrel, gold is poised to break through $1,600, and silver is ready to catapult to the $40-$50 range, and beyond. I have maintained that oil reached its global peak supply back in the 2005 time frame. The price has reflected that conclusion for the most part. There were expectations of $30 oil but it never materialized. A global depression could bring the price of oil to $30 but I don’t think anyone wants to see that happen. Silver has been leading the charge in the precious metals group. Those who were betting against silver are now covering their losses. Those who were buying the metal below $20 (excluding premium) are smiling now. Related stocks are recovering nicely. It was emotionally tough to keep buying as the prices were falling, but now we are being rewarded for our convictions. I still contend that the silver/gold ratio should be 16/1 in price terms. For this to happen, silver must skyrocket in price. Silver’s industrial use will increase as the global population demands technologies requiring this metal. Long term gold prices are suggested to be between $10,000 and $50,000 per ounce in U.S. Dollar terms. Devaluation of fiat currency will help move gold to these heights. People will lose purchasing power but the Federal Debt will get paid with depreciated Dollars. When the precious metals soar to new highs, the derivative investors who bet on gold prices declining will take a financial bath. There will be some significant bankruptcies take place. Only then will we know how much “betting” was happening without any real regulation occurring. The markets are already expecting the U.S. to lead an attack in Syria. An attack may be scheduled after the market closes on Friday. This allows the investing public to absorb the emotional shock of war before the market opens on Monday. War tends to remove the focus from the economic issues at hand. These issues are sizeable to say the least. This may provide the central planners with a plausible reason for gold, silver, and oil to reside at higher levels even though they are heading that way already. Isn’t it amazing how much energy is spent managing the masses! 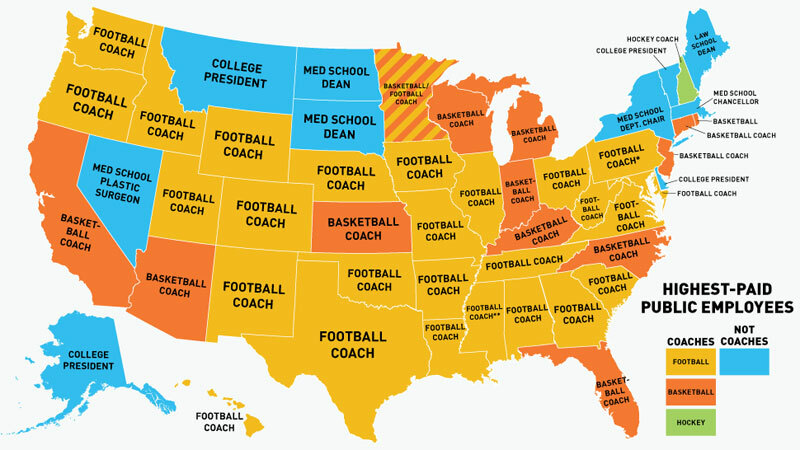 Best Public Job in the U.S.
Based on Generally Accepted Accounting Practices (GAAP), The United States is broke. One can argue that if you can print money, then you are not broke. That is only true to a certain point. When your money is no longer accepted as payment for goods and services, then printing money no longer satisfies the payment of obligations. A country’s overall production creates wealth and that wealth is really what pays the bills going forward. When you go to a bank to borrow money, they look at your ability to repay both the principal and interest. They look at your past performance, the stability of your employment, and any assets you have that can be converted to loan payments. Your interest rate is consistent with the inherent risk of repayment. Your loan is consolidated with a basket of consumer loans of similar risk. The bank’s expectation is that not all of the loans will underperform and that the additional interest charged will cover any loan losses of the portfolio. This assumes a stable currency. What happens when the nation’s currency is no longer wanted as payment for goods and services by other countries? Before August of 1971, they could demand payment in gold and get it from the U.S. When Nixon closed the “Gold Window” and ceased the convertibility of Dollars to gold, a whole new experiment began. How could the U.S. get away with mandating a fiat currency policy? The U.S. Dollar had been the “reserve” currency for use around the world and it was so interwoven into all commercial transactions, there was no feasible way to disconnect from the Dollar. The U.S. also had the most advanced military in the world. Nobody was willing to challenge the decision. Other countries have spent the last 42 years thinking about how to do international business without the U.S. Dollar. Iraq tried an “oil for gold” program bypassing the U.S. Dollar. Suddenly, events occurred that caused the U.S. to invade Iraq and remove that plan. Other countries have been dissuaded from bypassing the Dollar. Little by little, China, Russia, Brazil, and India have been creating partnerships to bypass Dollar-based transactions. They have been accumulating gold which in turn could allow them to have some type of gold-backed currency as a guarantee for international transactions. Where is the gold coming from? The Western vaults. For the first time in history, all nations are printing large amounts of money without any gold backing. The current system will fail. If you watched the video from yesterday, you can see that there has never been a successful end to this scenario. Pain will come. People will cry out for a new system, quickly. 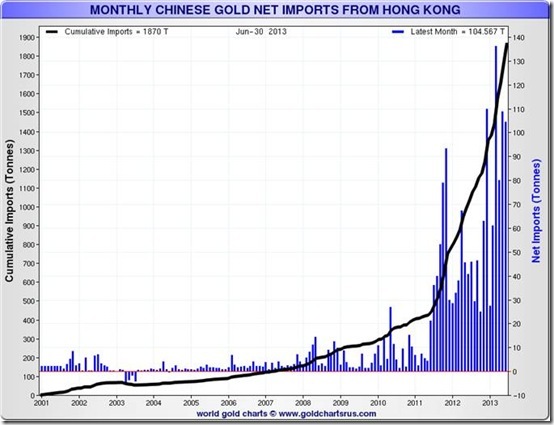 The Chinese know it, the Russians know it, and others who are accumulating gold and silver know it. Wealth can be attained a couple of ways. One way is for your investment to appreciate. The other way is for everyone else’s money to depreciate. The goal is to retain purchasing power in a medium that will continue to be accepted no matter how the collapse plays out. For most of us, silver plays that role. For some of greater means, gold will be acquired. The U.S. may never admit it is technically broke. However, when interest rates go up by creditors demanding additional payment for greater risks, there will come a day that those in charge must do an accounting. When that happens, 401K’s, IRA’s, Pension Funds will all be targets for cash to “bail out” the government. You will be told a plausible reason for you to hold government bonds in your account. You will once again pay for the poor decisions of the central planners. However if you see what is coming, you can at least minimize the pain by safeguarding what little you have from the depreciating currency and its impact. This is why I have been warning you for the past several years to downsize your exposure to unexpected events. Most of us don’t have a lot of wealth but if we reduce our leverage, simplify our monthly needs, and focus our attention to what Our Heavenly Father is saying, then we will be the least impacted when this day of reckoning arrives. You are currently browsing the Servias Ministries Blog blog archives for August, 2013.